As hospitals continue to implement advanced analytic technologies, in-house data science teams are quickly becoming a new benchmark, joining clinicians and hospital operations in providing the most efficacious and high-quality care. While these data science teams cannot (and do not aim to) replace clinical functions, their ability to leverage data and translate it into actionable interventions helps both to save hospitals money and improve patient safety and outcomes - essentially, the “smart hospital” empowered by its own data resources. Aligning Interventions with Outcomes- Hospitals collect vast amounts of information, but it remains useless if it isn’t structured for actionability. Data scientists are able to take clinical data and control for various factors, revealing if the interventions undertaken actually achieve their intended goals. For example, data scientists examined if undergoing weight loss surgery prior to receiving a joint replacement would increase the success of joint replacement surgeries in morbidly obese patients. Data analysis and regression modeling revealed that there was not a statistically significant correlation between morbidly obese patients who received bariatric surgery and those who needed revision surgery following the joint replacement. Using data to understand if an intervention is effective or necessary can help to prevent unnecessary or ineffective treatments. Uncovering Unexpected Patterns- There are many skills that a human can simply do far better than a machine-- common sense, imagination, abstraction. But there are also tasks that machines simply can do better than humans-- identifying patterns, mapping out connections, and continually adjusting these based on new data. While clinicians may be able to identify logical connections, data scientists are able to utilize statistical modeling and AI algorithms to uncover hidden factors that may correlate to the beginnings of a disease or the potential for complications. Using vast data sets, AI can predict the onset of cancer and read radiological images faster than humans can. Earlier and more accurate diagnosis can make a world of difference in providing effective care to patients. Spillover Effects- Simply because the data doesn’t prove what we’re looking for doesn’t mean it doesn’t have value. Medical interventions can have secondary or tertiary impacts that can also be of value to hospitals. Let’s look back at the bariatric surgery and joint replacements. While clinicians were interested in seeing if bariatric surgery decreased the need for revision joint replacement surgeries, they found no correlation. Instead, however, they found that patients who had the bariatric surgery had fewer in-hospital and post-operative complications. Although not what they were looking for, extraneous impacts can still provide value to hospitals. Does it Make Sense?- With the cost of healthcare continuously rising, it’s paramount for hospital to make sure that patients aren’t receiving unnecessary treatment that further fuels this trend. In 2017 alone, unnecessary medical tests and treatments cost an estimated $200 Billion and is responsible for an estimated 30,000 avoidable deaths. 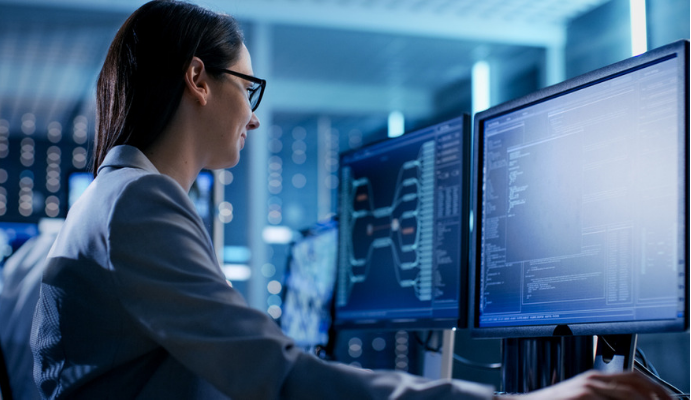 Data scientists can assess if implementing changes to hospital workflow or performing certain procedures are worth the investment based on their ability to efficiently and positively impact outcomes. With doctors at the front line providing care, data scientists are there to back them up with an army of data-driven insights. Investments in data science for healthcare just make sense-- they help hospitals cut costs, while improving patient care.